They might not be glorious, but a side business that requires you to work with your hands may be just what you need. Not only can you make money, but the physical nature of the work can benefit your health. Have you seen the movie Office Space? The main character works in a horrible cubicle job just prior to the year 2000, spending all day tracking down defective code and changing it to handle four digits for the date. For those that were around then, it was mind-numbing work. There’s more that happens, but in the end, the main character winds up leaving the cubicle and taking a manual labor construction job and is happier than ever. There are many ways to earn income outside of your day job. Dividend stocks, preferred stocks, bonds, rental property are all great ways to earn additional income. But each of these approaches requires a fair amount of invested capital to generate substantial investment income. If you are limited in this area, you will need to look elsewhere for additional income. This is where the side business comes in. A side business is simply a venture or activity performed outside of your normal day job that generates income. I specify that a side business needs to generate income to differentiate it from a hobby that may or may not generate income. Handyman. The great thing about handyman work is it needs to be local. As a handyman, you help assemble things for people. You fix stuff. You build projects. Depending on your skill level, you may help DIY enthusiasts that need a little guidance or bite off more than they can handle. Just stay away from electrical, plumbing, and HVAC work as you need a license to work in those areas. Yard maintenance. You can either provide services on a project basis or ongoing maintenance. If there is a lawn, you can get paid to cut that as well. Fees range from $50 per visit up to hundreds depending on the amount of work involved. Pool maintenance. This requires some knowledge, but once you learn how to keep the water level balanced, the pool clean, and replace any broken parts, you can earn a nice living maintaining pools. This is best in warmer climates where pools run year-round. If you live in a colder climate, learn how to winterize a pool and find another business during the winter (shoveling snow maybe). Housekeeping. Nobody likes cleaning their house. If you’re willing to get your hands dirty and keep someone else’s house clean, you can easily earn $100 for two or three hours of work. Dog walker. Dog walkers charge $10 or more per dog for a 30 minute walk. 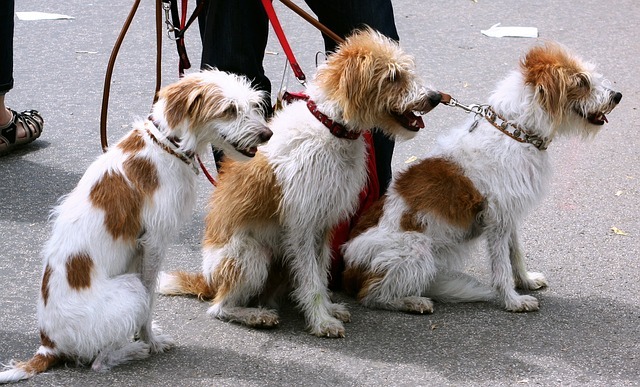 If you can find multiple dogs and walk them simultaneously, the numbers can quickly add up. For people who own high energy dogs (think lab puppies), having them walked regularly and often is a necessity. And not only do the dogs get exercise, you do too. Window washer. This is one of my favorite side business ideas. We know someone who started washing windows in college. It has turned into a big business. Most of his clients bring him out two to four times per year. He charges $5 per ground floor window and $10 per second floor window. He cleans both inside and outside as well as cleaning the screen. And he will repair both windows and screens for an additional fee. Pooper scooper. As simple as it sounds and not for the squeamish. When Ms. Financial Slacker and I were both working outside the home, we had a guy who charged $10 to clean the yard twice per week. Landfill transportation. If you have stuff you want to get rid of, but hate the time involved taking loads to the landfill, you can hire a company to haul it away for you. All you need is a truck to start this business. Moving company. I worked for a moving company in college. In fairness, you do need to be pretty strong for this side business. But the money is really good. How Do you Get Customers for Your Side Business? Once you have decided on the services you will provide, the next step is to advertise. But I have found, generating new business is probably the easiest part of the process. A handyman friend of mine put a magnetic sign on his truck. Just driving around town generated more business than he could handle by himself. You can also put ads in the newspaper and Craigslist. But the cheapest form of advertising is word-of-mouth. Once you start developing a good reputation, you’ll start getting phone calls referred from your existing customers. A side business is a great way to make extra income. And if you find one that requires physical exertion, you just might gain some health benefits as well. And maybe you can turn your side business into a full-time business and ditch the cubicle. Would you consider leaving your corporate job for something more blue collar? What other side business ideas require you to use your hands? I did the blue collar thing while going to college (concrete) and it is tough work! Not something j would want to do everyday. I did the same in college. It was easier then than now. The problem with physical jobs is they do get much more difficult as you get older. If you stay in good shape, maybe you can handle it, but if you spend 10 or 15 years sitting behind a desk and then decide to jump out and start moving furniture around, you’ll be hurting. I do like the reclaimed wood furniture idea. I have wanted to convert a portion of my garage into a wood shop for a long time. Gives me a good excuse to get rid of all the “stuff” that’s being stored in there now. Take my word for it, it soooooo gets much harder as you get older. I have been doing quite a lot of casual labour hire work for the past 18 months as it suits me not working full time up until I retired. At 50 but reasonably fit, some of the jobs were killers. The worst was working with a scaffolding company dismantling scaffolding from a new building. I managed to finish the day but that was it. It took me nearly a week to recover!! There is a long-term impact on your body as well. I’ve known delivery drivers that started having problems in their 50’s after years and years of getting in and out of the truck over and over again. Thanks for sharing this side business ideas. I feel housekeeping a very good opportunity as mostly working couples are finding it very difficult to make things perfect & maintain. And in case they have kids it is more difficult to manage. As a part-time job, one can find such jobs very easily. Agree. Many are willing to spend the money to have someone clean their house. If you’re willing to do it, you can make decent part-time income. I’m all for people who want to do that. My back is already not in a great situation from sitting down so much (commuting, working, spending time with family, etc so much sitting! ), I wouldn’t want to do more things like that. I wouldn’t mind looking after people’s cats. I like cats. My wife and I are cat people. We’d need to set up something in our garage, like Zoo cages. Our cat wouldn’t get along with others. Does baking/making food count as using your hands? I guess baking counts. At least it keeps you on your feet rather than sitting in front of a computer. Although it doesn’t really matter. If you can make a profit doing it, I’m all for it. I do think going through the stuff you collect and reselling anything of value is a great idea. With any of these ideas, you can make a LOT of money. You have to work at it, and do a great job. Getting customers is easy, the first step is to return calls. Far too many ‘self-employed’ people do not take their ‘job’ serious enough. I never understand when I can’t get people to return my calls. I have had a couple of mini-split AC units in my garage that I bought from Amazon. Every small HVAC company I call tells me they’re not interested in installing them since I didn’t buy them direct. They won’t even quote me to do the job. I guess business is good and they don’t need the money. The hardest job I tried to do lasted for 2 hours. Throwing hay into the loft for a small farm. My lack of upper-body strength made it incredibly difficult. But I tried it. Sounds like my college moving company experience. The money was good, but I’m not sure how long I could have kept that up before my body gave out.